WNYC's citizen science project to use sensors to track cicadas. A few inches below the surface of your backyard, a brood of bugs bides its time. With bulging eyes the color of freshly spilt blood, these cicada nymphs were actually born 17 years ago and have since busied themselves underground by sucking the life out of roots and reminiscing about the time they all went to see Space Jam. (They wanted to see Independence Day as their last hurrah before holing up, but it was PG-13.) Now, the Magicicada class of 2013 is scheduled to emerge in order to breed and lay their own eggs—to the tune of 1-5 million buzzing beasts per square acre—and WNYC wants your help to figure out when the horde will arrive. While cicadas are some of the more substantial insects you’re likely to find in North America—they can grow up to 1.5 inches long, and they sport huge, translucent, orange-veined wings—perhaps I can allay your entomophobia by admitting that the buggers are completely harmless. They do not bite or sting; they don’t damage crops or invade our homes. I mean, they even taste good in ice cream. Predicting the year is easy; predicting the day, not so much. This is why New York public radio stating WNYC “invites families, armchair scientists and lovers of nature to join in a bit of mass science” via a cute, little DIY cicada science site. Cicada nymphs typically peep out of their subterranean burrows when soil temperatures reach 64 degrees Fahrenheit at a depth of around eight inches. This is why WNYC wants people everywhere to start gathering data—ideally by mid-April—that they can plot on a map. 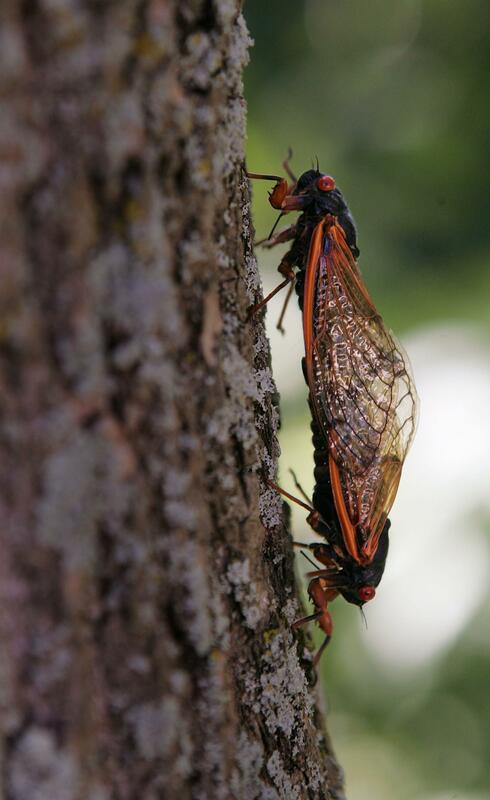 They also encourage would-be citizen scientists to submit experiences and observations in order to create a cicada conversation shared by the whole community. The parts list should look familiar to anyone who has tinkered with DIY electronics before—an Arduino Uno, a SideKick Basic Kit, wrapping wire, USB cable, electrical tape, etc—and can be obtained through Radioshack or Amazon with hardly any risk of your name ending up on some government list. When you’re finished with the detailed, 29-step build, just sink the business end of that baby in the dirt, plug the pattern found on your LED array into the website’s decoder, and log your results. Of course, if DIY’s not your bag, you could just buy a soil thermometer for $8.25 and call it a day. But what kind of example does that set for the maturing cicada nymphs? As for the many millions of serenading insects you have just come to know as Magicicada Brood II (that really is what scientists are calling them), they are not long for this world. All will go quietly into the night around the end of July. The eggs they laid will release a new generation of nymphs to rain down from the sky and burrow into the dirt. Then the big wait begins. In the meantime, you can repurpose your Arduino parts to build a smartphone-controlled pneumatic cannon.